Got rust? The place for auto body rust repair Blaine, MN, is North Star Auto Body & Glass at 2136 108th Lane NE. If you were alive in the 1970s and 1980s, you’ll remember seeing a lot of cars and trucks on the road covered with rust. In fact, the term “rust bucket” was often used to describe the rustiest of vehicles. Rust is an iron oxide, usually reddish brown in color, which has plagued car and truck owners for decades. Rusting happens when iron and its alloys, such as steel, corrode over time thanks to water and air moisture. With all the rain, wind, sleet, snow and ice Minnesota winters get, it’s no wonder that many vehicles have experienced flaky, unsightly rust problems over the years. While more modern vehicles, in particular, don’t seem to rust like older models—due to different materials used in the manufacturing process—there are still plenty of vehicles on the road suffering from spots of rust, as well as body panels, particularly near the tires, experiencing rust. Rust is like acne—no one wants it, but it exists, and sooner or later you or someone you know gets it. And just like acne, people will do whatever they can to get rid of the rust on their otherwise attractive car or truck. For auto body rust repair Blaine, North Star Auto Body & Glass is the place to take your vehicle for a “makeover.” The professional techs at North Star have the right equipment to get rid of rust and do quality restoration work on your car or truck so it looks as good as new. North Star’s state-of-the-art painting services go on smooth and clean. You bring in a rusty vehicle, and you can leave with the rust gone—plain and simple as that. North Star offers auto body rust repair Blaine on all types of vehicles. 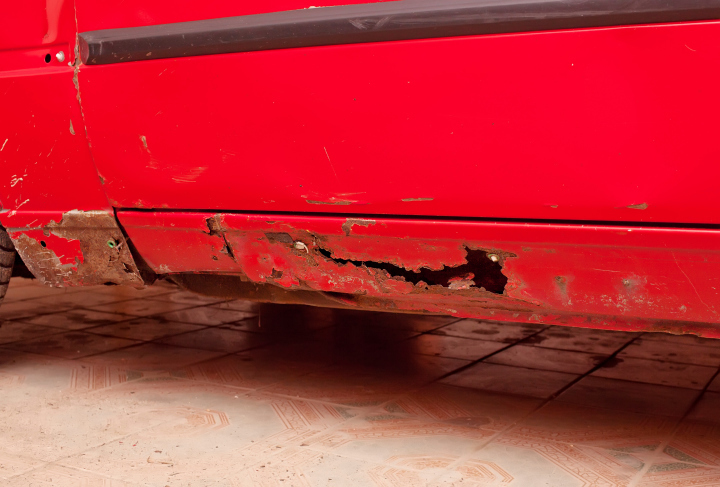 If you’ve got a “rust bucket” that needs improvement, call 763-432-7537 to get the job done.